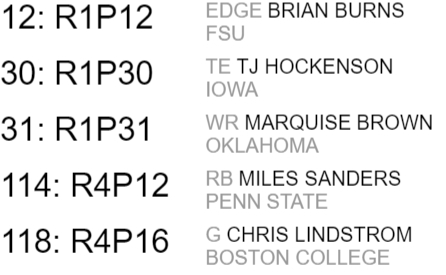 This mock draft was done using Matt Miller’s big board on Fanspeak.com. I would like to preface this by saying that I believe Brian Gutekunst and the Packers have a real chance at one of the three top free agent safeties: Earl Thomas, Landon Collins and Lamarcus Joyner. 12th overall might be a little too rich for some people to take an undersized edge defender, but the more tape I watch of Burns, the more I fall in love. Burns wins with his bend and speed, something that NFL offensive lineman simply won’t have a counter for. Add a few pounds, and Burns could become a top pass rusher in the NFL before the season is over. Hockenson has become the clear cut top TE in this years draft class. He can play inline and be kicked outside as a receiving TE. His blocking ability is second to none and on top of that, he is a true finisher. It will be tempting for Gutenkunst to not take Hockenson at pick 12, but getting him at 30 would be a steal. In order to make this trade, the Packers had to give up the 44th overall (2nd round) and 75th overall (3rd round). Brown is the best slot receiver in this year’s draft and it is time that the Packers begin to re-invest in their receivers. With Cobb gone and no true slot guy, Hollywood Brown (soon to be Titletown Brown) would fit in nicely with the new offense. A running back this early may be seen as a waste, but LaFleur loves to use his running backs as receivers and Sanders can fill that role from day 1. Sanders caught 24 passes out of the backfield this past season. He sat behind Saquon Barkley so he doesn’t have a ton of miles on his legs. Sanders had some fumbling problems at Penn State, which is cause for concern, but he would help out the backfield tremendously. Brian Gutenkunst was able to bring in long time friend, Milt Hendrickson from the Baltimore Ravens to be the Director of Football Operations. Milt has a track record of finding mid-round offensive lineman and turning them into pro bowl level players, much like Ted Thompson. With the right guard position coming off its worst year in recent memory, the Packers draft Lindstrom who is a “nasty” guard as Jim Nagy (Senior Bowl Director) said after the conclusion of the Senior Bowl. 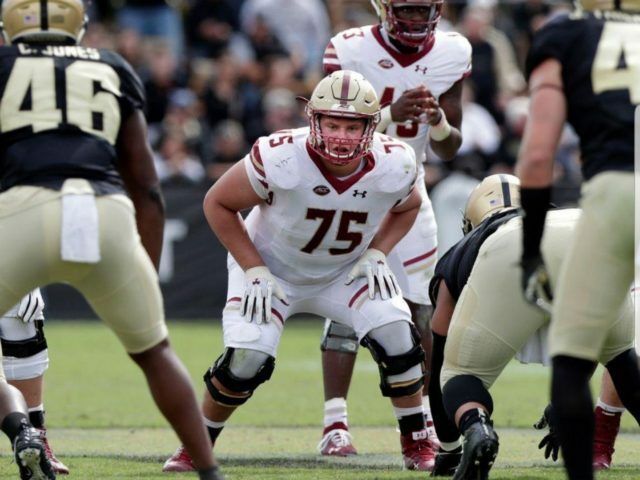 This entry was posted in Sam Senerchia and tagged first round, Mock Draft, Packers, trade. Bookmark the permalink.